A certified professional diver with several years of experience on fisheries and benthic surveys on large rivers (both the Ohio and Susquehanna River Basins), Sean has begin the first mussel surveys on the West Branch of the Susquehanna River. 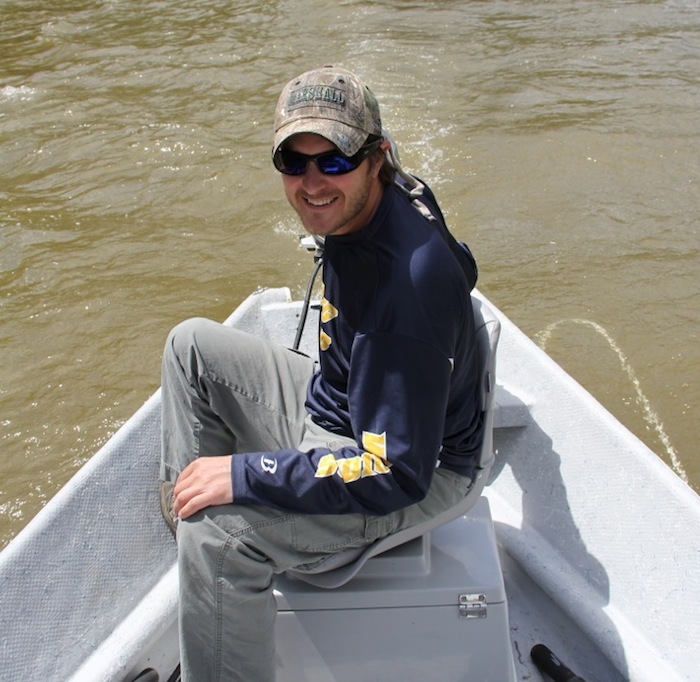 His research is shedding light on mussel communities in the river and ste. Sean also helps faculty and students with teaching and research activities, especially those involving sample collection and water quality monitoring. A native of the Susquehanna watershed (Milton, PA), Sean also helps lead the educational paddling sojourns on the river. Hayes, Benjamin R.; NEWLIN, Jessica T.; McTammany, Matthew; Langdon, Kevin; and REESE, Sean P., 2012. Monitoring of Water Quality and Flow Hydraulics on the Susquehanna River in Central Pennsylvania, American Society of Civil Engineers Hydraulic Measurement and Experimental Methods Conference, Snowbird, UT, August 12-15. Wilson, Matthew J.; Matthew E. McTammany; Benjamin R. Hayes; Sean P. REESE; and Michael Bilger, 2012. Spatial and Temporal Patterns of Benthic Invertebrate Communities in the Susquehanna River Revealed Using Data from Twenty Years of Surveys by Multiple Agencies, Abstract ID 7010, Annual Meeting of the Society of Freshwater Sciences, Louisville, KY, May 20-24.